Effective navigation is an essential skill for anyone who ventures onto hills, mountains and moorland. Many Mountain Rescue call-outs are as a result of people becoming lost in Britain’s wild and remote terrain. We offer a range of courses from basic map reading and navigation, which will equip you with the necessary skills to venture safely into the hills and mountains, to more advanced training which covers such topics as night navigation and winter skills. 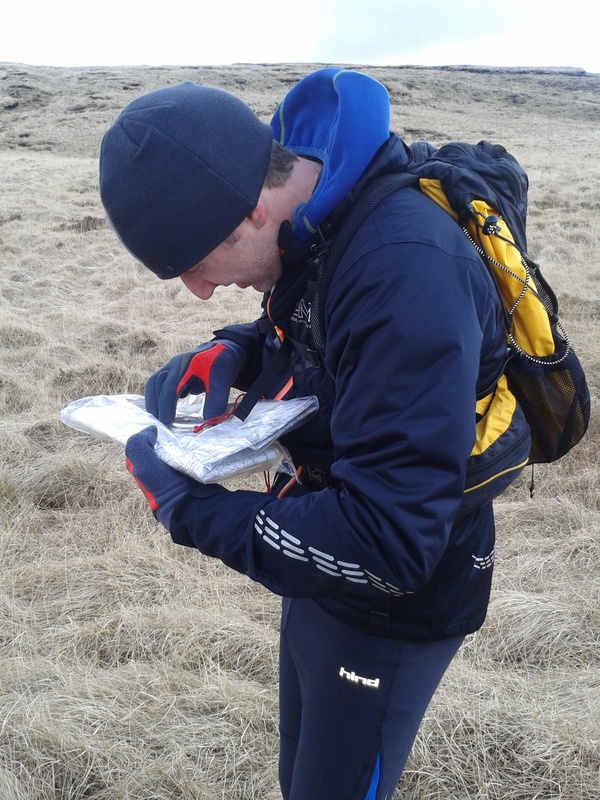 Learn the essential skills of mountain navigation on this one day course based in Saddleworth. Discover the secrets of the dark art of navigation and learn how to interpret contour lines, take compass bearings and practice the principles of hand-railing, aiming off and attack points. These practical, one and two day courses are designed to prepare you for competing in long distance fell races and ultra-distance challenges. Learn the essential skills of navigating on the run, in order to safely and efficiently traverse wild and remote terrain, in long-distance events such as the High Peak Marathon, The Spine Race, UTMB, Dragon’s Back, Bob Graham Round, Joss Naylor Challenge etc. Venturing into the hills at night, armed with a good head-torch and a rucksack full of warm clothing is a marvellous experience. During the winter months, many fell-runners and mountain bikers undertake nocturnal forays into the wilderness in search of added excitement. Our night navigation courses are aimed at those who are confident navigating in day light, and who want to develop their skills to be able to venture into the wilderness after dark, or gain the knowledge to to be able to find their way in thick mist. Our two day advanced course develops your navigational ability to a much higher level and looks in detail at the principles of micro-navigation, route selection, group management, and mountain safety. On the first night there will also be a Night Navigation session. Our bespoke courses are designed to develop your individual navigational skills, building on your current knowledge and ability. With the training personalised to suit your individual needs, the course will cover in depth the all of the principles of effective navigation including, map interpretation, compass work, micro-navigation, route selection and mountain safety. The personal navigation courses make ideal presents for friends or loved ones. Gift vouchers for the courses can be purchased in advanced. All of the courses work on an effective student to instructor ratio, ensuring that everyone learns to their full potential. All participants receive a free Time & Distance Calculator. Private courses can be organised for individuals or groups. To celebrate World Orienteering Day, this family orienteering session will allow the whole family to learn the exciting sport of orienteering. Orienteering can take place anywhere from remote forest and countryside to urban parks and school playgrounds. It’s a great sport for runners, joggers and walkers who want to improve their navigation skills or for anyone who loves the outdoors. https://www.britishorienteering.org.uk/page/newcomers_guide . The course will run from 10:00am and will cover the principles of orienteering including; How to read the map, orientating the map, compass work and route choice. The day will end with a fun orienteering competition. This fun-filled course is for the whole family and children must be accompanied by their parents. Cost: £20.00 per family of four. Maps and compasses provided. Booking essential.